Microsoft has introduced User Account Control (UAC) in Vista and Windows 7 and not all software developers are ready to re-design their software by making it UAC-aware. The goal of UAC is to limit the permission of some applications in using higher privileges. Malware as we all know will take advantage of administrator account in damaging the system but if you really have to run an old program in Vista and Windows 7, you will have to change the way it runs. There are some work-around in using an old program for Vista and Windows 7 and one of them is by using VistaUACMaker. There is no need to install VistaUACMaker. The program is a standalone tool and can be use in XP, Windows Server 2003 and Vista. 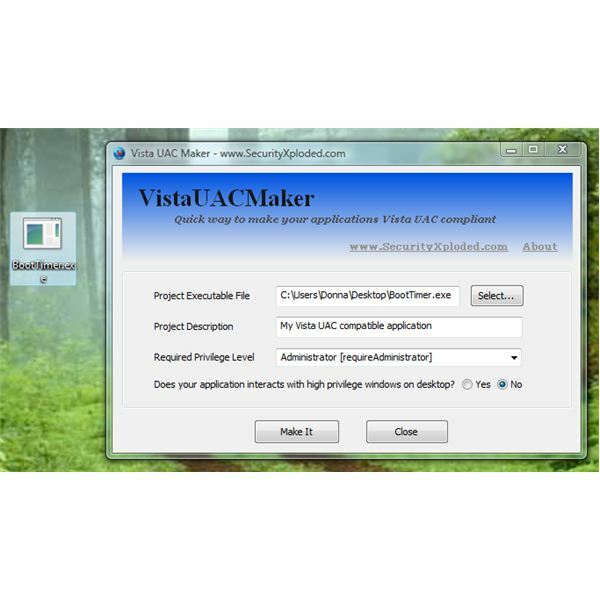 VistaUACMaker is quite simple to use in making an XP based application to run with the required UAC permission for Vista and Windows 7. Tips: Other method to run an old program in newer operating system is to take advantage Compatibility Mode feature in Vista and Windows 7. You can even choose to run the program using Windows 95, 88, ME, XP and so on and if you really have to run the program with admin permission, simply right-click the application’s shortcut or executable and choose “Run as Administrator”. You can view the guide in Microsoft website. 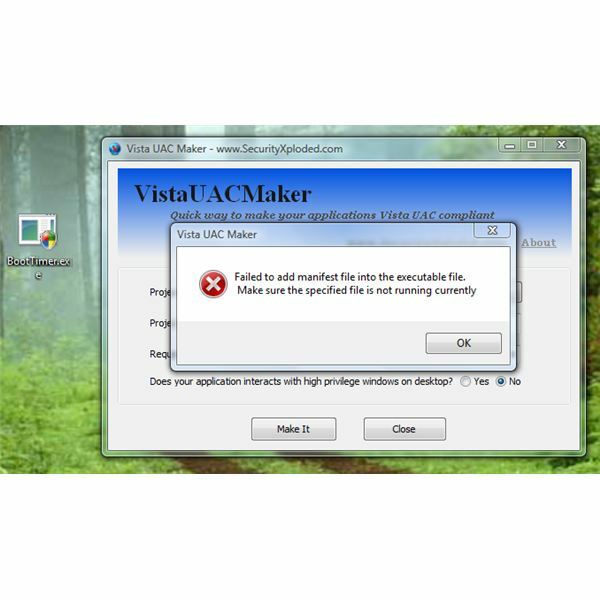 Use VistaUACMaker if the Compatibility Mode option in Vista and Windows 7 will not help. Be careful though: Always make sure that you trust the executable before running it using administrator permission. Free to use. What else can I say? VistaUACMaker is another handy and quite useful tool by SecurityXploded. Recommended tool especially if “Program Compatibility” features in Vista and Windows 7 does not help.